What do you do if you're a fast-growing city in the desert with lots of thirsty people and little freshwater reserves? Park an iceberg off the coast. That's one Dubai-based engineering firm's plan to provide fresh drinking water to the city's rapidly-expanding population. 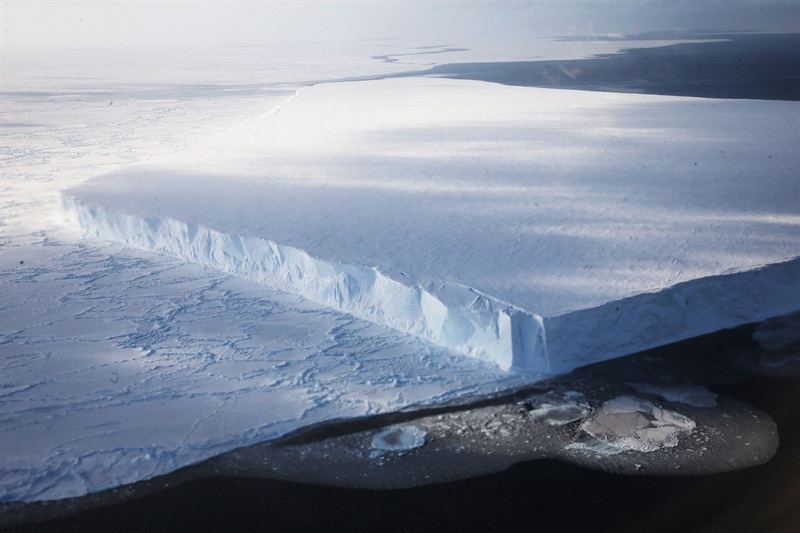 The National Advisor Bureau (NABL), a private engineering firm, wants to schlep a glacial iceberg from Antarctica — weighing approximately 100 million tons — to Dubai, via an intermediate stop in either Perth, Australia, or Cape Town. If the iceberg doesn't melt along the way, the firm will sell the water to Dubai's government. "If we succeed with this project, it could solve one of the world's biggest problems," Abdulla Alshehi, NABL's founder told NBC News. "So if we can show this is viable, it could ultimately help not only the UAE, but all humanity." Dubai, which is the most populous city in the United Arab Emirates, is growing so rapidly that a solution to the city's looming water crisis must be found, according to the city's largest English-language newspaper, The Khaleej Times. To put Dubai's population growth in perspective, the desert-bound city is set to house over 3.4 million people within by 2030, up from just over 2.5 million in 2016. That's a lot of thirst to quench in a city that's built in one of the driest regions in the world. The problem is greater than just Dubai. According to the World Economic Forum's Global Risks Report, an estimated 4 billion people around the world face difficulty accessing safe drinking water. Other methods, like processing Dubai's salty groundwater into freshwater, or deploying water harvesters — which produce freshwater from atmospheric moisture — are still too costly and inefficient to produce enough water for the city. A tabular iceberg floats near the coast of West Antarctica, as seen from a window of a NASA Operation IceBridge airplane on October 27, 2016. The company is beginning a pilot study in November to examine the feasibility of the iceberg-towing project. According to Alshehi, the firm will use satellite imagery to look for a suitable iceberg — which he says should be between 2,000 and 7,000 feet (600 and 2.1km) long — and then try and tow it to either Australia or South Africa. Once the iceberg gets to its first stop, it'll be towed the rest of the way. Because icebergs are so heavy, the company will need multiple ships to assist with towing, and it will use the ocean's prevailing currents to their advantage. Alshehi told NBC that even if 30% of the iceberg melts on the journey, it'll still be able to provide between 100 million and 200 million cubic meters of fresh water — enough for 1 million people to stay hydrated for five years. Private investors have bankrolled the project to the tune of $60 million, or about R900 million, according to NBC. But there are still some unanswered questions, like how the firm plans to store the iceberg, and how it will sell the fresh water to the government. That isn't stopping Alshehi from trying. If he's successful, he hopes to bring icebergs to freshwater-starved regions throughout the world.